Verifying DBO User ownership and track users without a SQL login but via AD Group Logins « The SQL Dude! This entry was posted on February 18, 2012 at 2:30 AM	and is filed under Security. 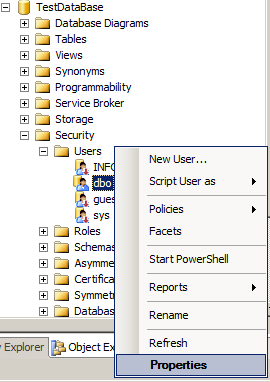 Tagged: DBO, login group, security, sp_changedbowner, SQL Server, token, user, Windows Group. You can follow any responses to this entry through the RSS 2.0 feed. You can leave a response, or trackback from your own site.